Proper gutter installation may seem like a snap that just about anybody could handle. However, the fact is gutter installation done right is an expert-level skill. In fact, trying to handle it on your own could mean putting your well-being at risk. Many difficulties and concerns make gutter hanging something only a professional should handle. 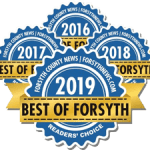 It’s for this reason exactly that our team at Hopewell Roofing strives to help homeowners understand what is involved in correct gutter installation as well as how risky mistakes can be. Once you recognize the importance of expert installation, you will want to only hire the best of the best to install your gutters. Do you know how to hang gutters without making any mistakes? We’re not trying to be rude, but, honestly, there’s a strong chance you don’t. And why should you unless you’ve received professional training? There are a lot of steps you can miss when performing any gutter installation technique. For example, do you know how to properly install gutter hangs? Do you know anything about gutter screws and how to avoid ice flows? You might understand these terms in a basic way, but only a professional fully gets them. Beyond the complexity of proper gutter installation is the fact that it requires a lot of focused effort. For example, it can take an entire day just to measure the roof for installation. It can take another full day to install the hanging items and to get the gutters up correctly. All in all, it may take up to a week of hard work to get gutters installed. Do you have that kind of time? Probably not. Have you considered hanging gutters can be a dangerous situation? It’s true. Imagine working on a roof without the correct safety measures in place. Falling off the roof and onto your head is not only embarrassing, but it can also be life-threatening. Let professionals handle the task of your next gutter installation. At Hopewell, we understand the safety measures and can implement them without making mistakes. By now, it should be obvious that proper gutter installation is beyond the skills of even the most talented amateur repair person. Trying to install gutters on your own only makes it more likely that you’ll not only damage them but you could also injure yourself. Even worse, you’ll end up having to pay more to get the gutters replaced to fix the mistakes! Why not avoid all of this risk and concern of trying gutter installation yourself and contact a professional instead? Our team of experts at Hopewell Roofing knows exactly what it takes to install your gutters correctly the first time. 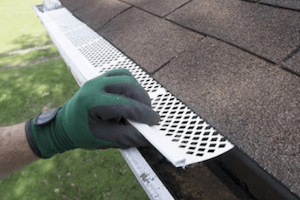 This kind of proper gutter installation ensures your home is safe, that your gutters work properly, and that you won’t need to get them replaced anytime soon.